I was on here just over an hour ago as a quick break from work to see the latest news, then apparently as soon as I log off he commits! It is great what CAM has done with our in-state recruiting in such a short time. Welcome to Hoosier Nation TJD! Go Hoosiers! On reddit people were saying they saw that Romeo played great, but that Juwan Morgan was the best player in the floor. So just one thought on this. Yes it would generate tons of clicks/views to bring down college basketball showing it’s dark side. The problem with that for the media though, is the risk of losing a significant % of fans/viewership in the future to click on their articles about the new cleaned up version of CBB. A lot of sports reporters could lose their jobs and newspapers, blogs, television stations, etc... lose a significant revenue stream. Even if a reporter wanted to do it, their is a good chance his editor, or his editor’s boss would bury the story in the greater interest of their financial well being. Sounds about right to me. That story is making me crave some Buffalouies right about now. Always a good day when you get to welcome a new recruit to the Cream & Crimson. Go Hoosiers! Nice. I hope he gets to see 1-2 recruits announce their commitments there that night. https://www.ncaa.com/news/basketball-men/article/2018-06-04/andy-katzs-power-36-look-ahead-2018-19-season-post-nba-draft Here is where he had Indiana and what he had to say: 22. 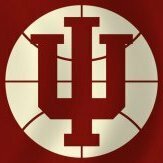 Indiana: The Hoosiers were a few wins away from turning a rebuilding season into an NCAA tournament appearance last season. The starting five has some star power in Romeo Langford, whose decision to come to Bloomington was celebrated all over the state. Juwan Morgan was one of the most improved players in the Big Ten last season. 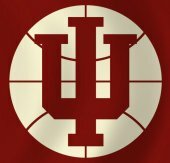 De’Ron Davis inside, Devonte Green at the point and swingman Justin Smith give the Hoosiers plenty of pop. The players seem to have all bought into Archie Miller’s desire to defend at a high level. Just saw this too. He also has an offer from Arizona. Will this be the first Miller vs Miller recruitment? I can’t say definitively, but I’m pretty sure that picture is just a meme more than how he actually reacted. From my understanding he was recruiting a player and eating at Little Zagreb’s when the announcement happened. Live Más everyone! Great day to be a Hoosier!